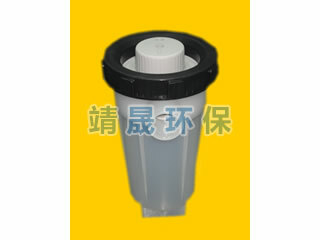 S6 bag filter components: the main body, net blue, sealing cap, screw cap, rings nuts. 1, the product is a new plastic filter, entrance and exit into the national standard threaded one-piece, economical and durable. 2, the main appearance of a uniform distribution of 6 ribs, making it strong and robust structure, safe and reliable, without any welding. 3, special transparent material PPR can be used for most of the chemical liquid filtration, corrosion resistance to most chemicals. 4, specially designed screw rotation cover without any tools to switch freely, the lid sealed tight, easy operation and maintenance. 5, precise and consistent sealing cover easy to install, to avoid leakage of liquid before the filter; sealing cover in the top of the filter bag to prevent the filter bag floating. 6, high filtration precision (0.5um-1000um), the filter bag ring and the filter wall closely in contact effectively prevent liquid leakage, any filter residue can not penetrate the device. 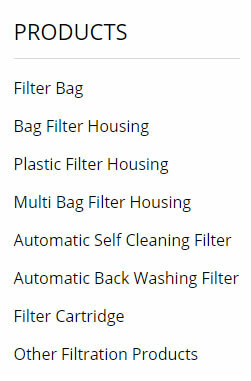 7, the filter bag and the inner wall of the filter close contact, easy to install and remove the filter bag. 8, PP mesh filter bag easy to clean, not a replacement product supplies, no cost of supplies costs. 9, the seal ring is EPDM material, suitable hardness, suitable for a wide range of pH and temperature liquid, so as to meet the production needs, is not a consumable, no consumables costs. 10, square base design, to enhance the smoothness of the filter; base with 4 M8 internal thread, to improve the ease of installation, solid structure, safe and correct. 11, net blue one form, mesh blue appearance design distribution, orderly prominent solid square column, increased network blue pressure resistance. 12, polished outer wall design to facilitate manual cleaning or flushing in the appropriate location.